In the village of Zhelezny near Toretsk in Donetsk region, a 15-year-old girl was killed by a shell of militants, the Head of the Donetsk Civil Military Administration Pavlo Zhebrivsky informed on his Facebook page. According to him, the deceased by the name Daria was a pupil of the 9th form of secondary school No. 7. Reportedly, just three days ago she celebrated her birthday. “The child was in the yard of her grandmother’s house at the time when a large-caliber projectile, released from the Ruscist positions, fell there. I express my deep condolences to the family and friends of the deceased girl. And the invaders and their henchmen will be held accountable for each of their crimes committed on Ukrainian soil," the Head of the Donetsk administration wrote. Earlier, Pavlo Zhebrivsky reported that on May 17 the "DPR" militants fired at a school in Svitlodarsk in Bahmut district, as a result of which one person was injured. 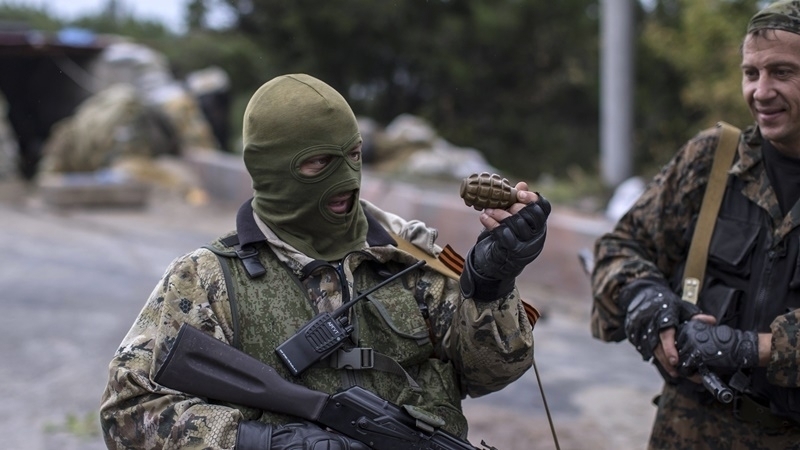 A shell of militants exploded in the schoolyard.